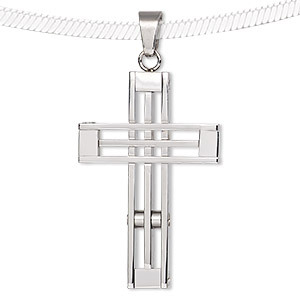 Pendant, stainless steel, 32x20mm double-sided notched cross. Sold individually. Item Number: H20-8164JD Have a question about this item? 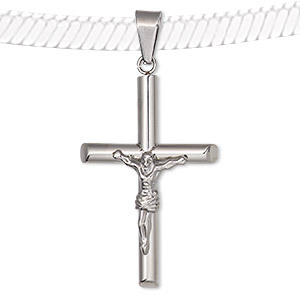 Featuring a contemporary notched design, this 316L stainless steel double-sided cross offers a generous bail to accommodate leather or satin cord, chain and more. Retaining a rich color over time, this on-trend stainless steel pendant is durable, economical and resists rust or oxidation. 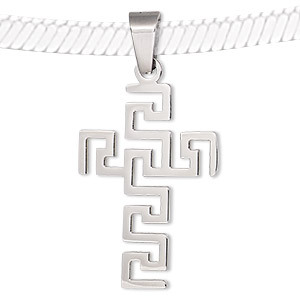 Pendant, stainless steel, 37x22mm double-sided cross with geometric design. Sold individually. 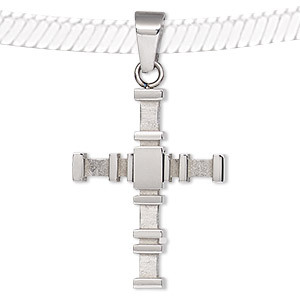 Pendant, stainless steel, 38x25mm double-sided tiered cross with textured and smooth design. Sold individually. 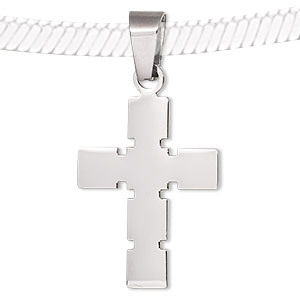 Pendant, stainless steel, 51x30mm double-sided cross with cutouts. Sold individually. 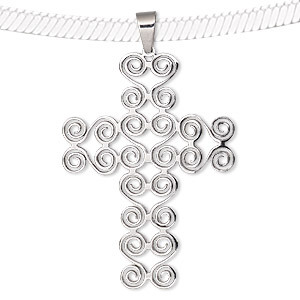 Pendant, stainless steel, 60x43mm double-sided cross with swirl design. Sold individually. 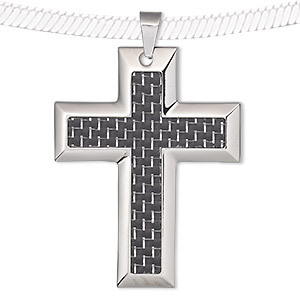 Pendant, acrylic and stainless steel, black, 55x43mm single-sided cross with weave design. Sold individually. Pendant, silicone and stainless steel, black, 38x25mm two-sided tiered cross. Sold individually. 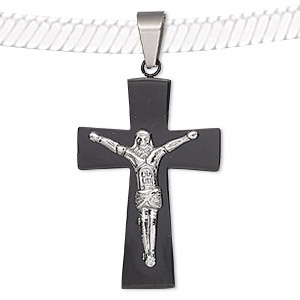 Pendant, stainless steel and black-plated stainless steel, 44x27mm crucifix. Sold individually. 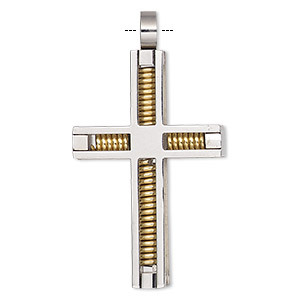 Pendant, stainless steel and gold-finished stainless steel, 44x27mm double-sided cross with coil. Sold individually. 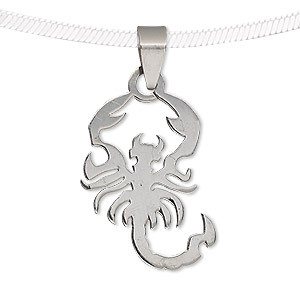 Pendant, stainless steel, 32x20mm scorpion. Sold individually. Pendant, stainless steel, 44x27mm crucifix. Sold individually.